There are many different religions and cultures in Australia; each culture has its own way of dealing with grief. Some prefer a ritual while others prefer to grieve in private. You can be assured that whatever your cultural requirements are, they will always be respected by Paul and myself. 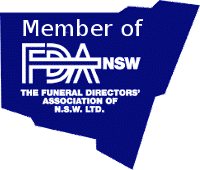 Please feel free to discuss any of your requirements at ease with us upon your visit to our funeral home in preparation for your loved one’s funeral day. Religions throughout Australia include Anglican, Catholic, Uniting, Presbyterian, Lutheran, Buddhism, Greek Orthodox, Islam and Judaism. Each religious group has its own beliefs and hence the styles and format of a funeral service differ. Please discuss your religious preferences with Paul and I; we are completely objective and open minded to the type of funeral service that you may require for your loved one, you are welcome to ask us to explain any religious requirements needed for your loved one’s funeral service.